Dr. Chris W. H. Woo is a senior lecturer at the Faculty of Arts and Social Science in the Universiti of Brunei Darussalam. He is nominated as the University's Branding Advisor in 2011 and the Steering Committee Member of the Teaching and Learning Centre in 2012. Dr. Chris Woo is also the Secretariat member and consultant for the Brunei Ministry of Culture, Youth and Sports' Creative Industry sector. Since 2010, he has been providing consultancies to Brunei Ministries on public speaking and communication skills. He has taught and lectured Communication Studies and Media for 7 years in Curtin and Murdoch University in Australia and then 2 years in the Republic Polytechnic in Singapore. He has been nominated for the Murdoch University’s Vice Chancellor’s Best Teaching Award in 2003. In Republic Polytechnic he was awarded the WOW! Award and the Best Mentor Award for the excellent guidance of students. Dr. 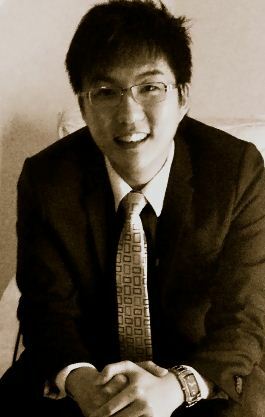 Woo is trained in Problem-Based Learning and specialises in visual communication, embodiment philosophy and the art of reading texts through semiotics. In the year 2000 Dr. Woo opened his own theatre company called HYST?! Productions. He also produced professional performances as actor, director and writer for 8 years within the fringe theatre industry. From 2006-2008 Dr. Woo was also the Production Manager of Rogan Vogue, the largest children’s entertainment company in Western Australia. In his time in the children’s entertainment business, he managed the creative production of scripts, human resources and clients of the largest shopping centres in Perth. Currently Dr. Chris Woo teaches in the Professional Communication and Media Programme. Title of paper: A study on cross-cultural student game predispositions and implications of game typology for pedagogical design. Details: A collaboration with Assoc. Prof. Kumar Laxman from the University of Auckland. The purpose is to gain insight into the gaming habits of students on a cross-cultural platform. The data collected hopes to shed light on the pedagogical strategies and methodologies that could be designed for 21st century classrooms using game theories. Woo, C.W.H. (2013). Dynamic events and the death of the hero in quest-based game design. Games and Culture: A Journal of Interactive Media (SAGE Journals, under review). Woo, C.W.H. (2008). Beside a Transpedagogy of Desire. FemTAP: A Journal of Feminist Theory and Practice, Spring/Summer 2008. (See Here). Woo, C.W.H. (2008). Queer Heterosexuality: Translative Lessons of the Fag-hag. Translation Studies in the New Millennium: An International Journal of Translation and Interpreting, 6, 117-139. Woo, C.W.H. (2011). The non-teacher: Orgasmic anti-identitarian embodiment in education. 18th International Conference on Learning. Mauritius: University of Mauritius. Woo, C.W.H. (2004). Politics of the Abject in Queer As Folk, The(e)ories: Advanced Seminars for Queer Research, (Dublin, University College Dublin, 2004). Woo, C.W.H. (2004). Disrupting Transparadox: Coming to terms with an Embodied Desire, CSAA: Cultural Studies Association of Australasia, (Perth, Murdoch University, 2004). Woo, C.W.H. (2003). Cultural Corridors: From a Classed Past to a Technologised Future, 2nd Panellist, Alchemies: Community Exchanges, 7th Annual Humanities Graduate Research Conference, (Perth, Curtin University of Technology, 2003). "Connie and Carla: A Disconcerting (PG) Moment in Cinema", Sound and Vision Unit, 2005. "Catwoman", Sound and Vision Unit, 2005. "The Corporation", Sound and Vision Unit, www.popularculturecollective.com, 2005. "300", Rip-In Magazine, Issue 033, 2007. "Hostel Part II", Rip-In Magazine, Issue 034, 2007. "Fantastic Four: Rise of the Silver Surfer", Rip-In Magazine, Issue 035, 2007. "Die Hard 4", Rip-In Magazine, Issue 038, 2007. "Stardust", Rip-In Magazine, Issue 039, 2007. "Resident Evil: Extinction", Rip-in Magazine, Issue 040, 2007. "Saw IV", Rip-In Magazine, Issue 044, 2007. "A Mighty Heart", Rip-In Magazine, Issue 045, 2007. "Gabriel", Rip-In Magazine, Issue 046, 2007. "Halloween", Rip-In Magazine, Issue 047, 2007. "Alien Versus Predator: Requiem", Rip-In-Magazine, Issue 049, 2008.